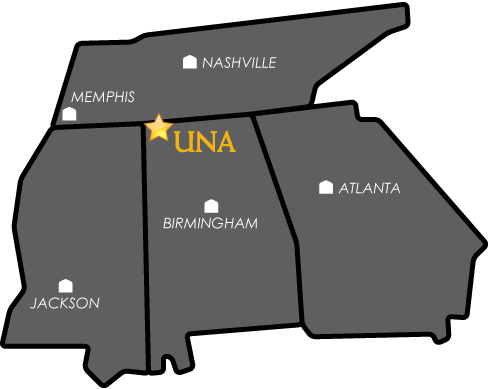 Exams for online courses at UNA are delivered through Canvas, the university’s learning management system. Many hybrid or traditional courses also use Canvas for testing. Courses may also online proctoring services such as Respondus LockDown Browser/Monitor or Honorlock to ensure exam security and student identity. Respondus Monitor is an addition to the Respondus Lockdown Browser that uses a web camera and recording to ensure academic integrity during online testing. Respondus Monitor provides a controlled testing environment, web camera recording, and a report of student exam taking. For UNA students with access to Campus, Collier Library has laptops with Respondus Monitor available for within-library use. Please ask at the front desk. The Honorlock proctoring services is primarily used by the College of Business. If that does not resolve the issue, please submit a support request in Canvas by doing the following: Go to the page/item in Canvas where you are having the problem, click Help (the question mark), then Report a Problem. Please include a description of the problem you are having, your full name, UNA email address, an alternative e-mail address (if applicable) and a phone number.